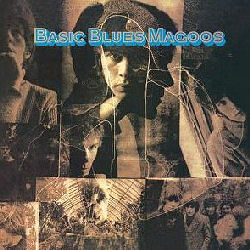 The Blues Magoos est un groupe originaire de New York, dans le Bronx, formé en 1964, initialement connue sous le nom de Trenchcoats . ou le Grateful Dead à ses débuts. titres : sybil green (of the in between), I can hear the grass grow, all the better to see you with, yellow rose, I wanna be there, I can move a mountain, president's council on psychedelic fitness , scarecrow's love affair, there she goes , accidential meditation , you're getting old, subliminal sonic laxative, chicken wire lady, I wanna be there (mono single version), there she goes (mono single version), I can hear the grass grow (mono single version), yellow rose (mono single version), let your love ride, who do you love.